Lustre started our musical adventure back in 2005, and what an adventure it has been! 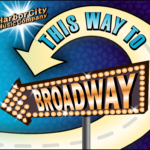 We met through and continue to sing with the Harbor City Music Company Show Chorus (HCMC), a chapter of Sweet Adelines International (SAI) out of Baltimore, Maryland (in SAI Region 19). Kate is also a member of the Capital Accord Chorus (CAC) chapter of SAI, and Jenny is also the Director of the Arundelair Chorus chapter of SAI. 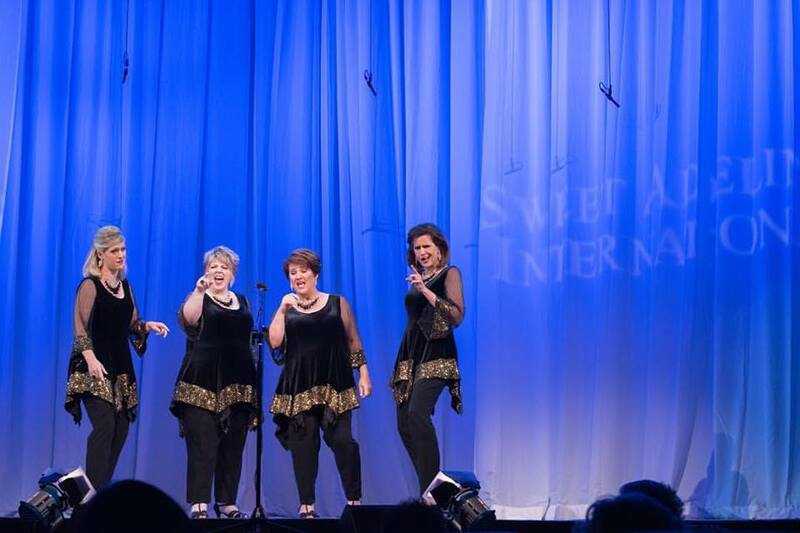 In our time together we have garnered several Regional and International awards through Sweet Adelines, as well as Regional and National awards through the National Harmony Sweepstakes organization. 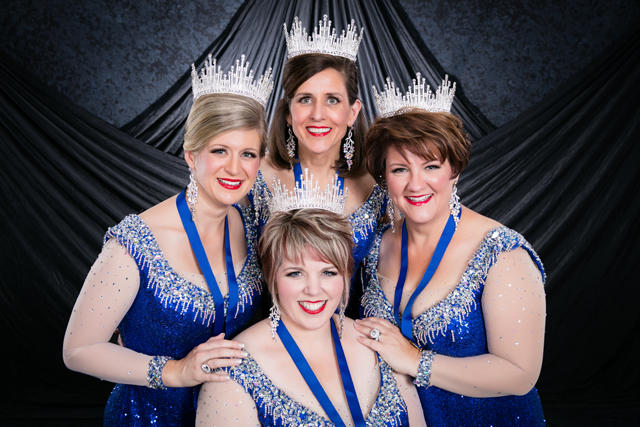 In October 2017 we earned the title of 2018 Sweet Adelines International Quartet Champions. To contact Lustre, write info@lustrequartet.com or visit Lustre's website at lustrequartet.com. Kate has been singing since elementary school, but only discovered barbershop in 2005. She’d always sung soprano, even though she really liked singing harmony, so she was thrilled to find a musical form where the highest voice part was not the melody. Kate sings with the Capital Accord Chorus and HCMC, and joined Lustre quartet as our new tenor in the summer of 2010. Kate’s background is in structural engineering, although she currently works in technical marketing for an engineering software company. She prefers to think of her work as translating software-speak into English, rather than “marketing.” When she’s not working or singing, she likes hiking, especially at Great Falls, and sports (go Bucks.). Kate lives in Silver Spring with one very needy, vocal, and almost unbearably cute Siamese cat. “Lead Lori” has been singing all her life. When she was younger, one might have heard her sister complain “Does she have to sing so loud?” but we’re glad it didn’t deter her. Before joining HCMC in 2002, she had achieved numerous musical accomplishments. For instance, she starred in multiple plays and musicals and learned to play nearly every instrument (at least well enough to play a simple song) for her degree in music education. In her spare time Lori has started an organizing business with one of her good friends. While she only has 2 cats at home here in Baltimore, Lori has a terrific family in the Midwest and beyond. Before “Bari Lori” moved to Baltimore, her musical experience consisted of many years of underappreciated piano lessons growing up and she played trombone in the high school band, but she had no singing experience outside of church choir. Nevertheless, in 1991 she jumped into Sweet Adelines and HCMC (then known as the Elkridge Chorus), with both feet. She has been singing ever since in chorus, quartets, and a mixed a cappella jazz quintet called “High Five.” Sometimes you can hear her singing bass, lead or even the alto part, but she is a barbershop baritone at heart. This Lori makes her living as a computer programmer and she makes many friends as an avid baker. If you visit her at home, she might make you one of her stellar, homemade, from fresh-squeezed lemons and limes Margarita. She sews and does needlework, costuming her chorus and quartet as well as local theater productions. Her immediate family consists of two cats and more Sweet Adeline sisters than she can count. Jenny has been a singer in Sweet Adelines since 2003, when she joined HCMC. Though she brought a strong musical background in the instrumental arena, her previous singing experience consisted only of church children’s choir and regular radio sing-alongs during the morning and evening commute. But once she joined the barbershop hobby, she jumped in whole-heartedly, and soon became an avid “pick-up quartet” and tag singer, and the Bass section leader of her chorus. Jenny grew up the third of four sisters. While the sisters never did form a barbershop quartet, the family experience did give her some early training for sharing one hotel bathroom with three other women. Jenny now lives with her fabulous husband, son and daughter, who generously and graciously agree to host the weekly quartet rehearsal at their home, and occasionally fill in for a missing part here or there.